During the annual meeting of states parties to the Convention on Cluster Munitions (CCM), states have collectively condemned all use of cluster munitions, including recent use in Syria and Yemen. 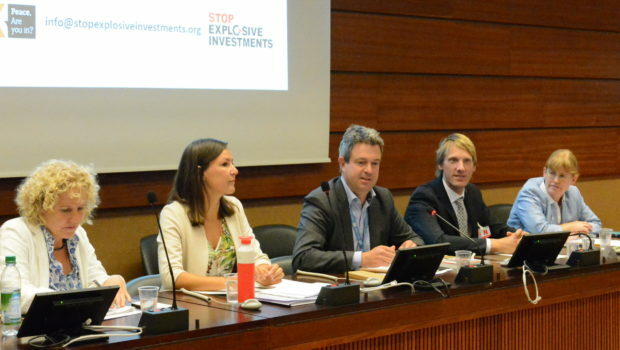 Several states also called to end investments in cluster munitions producers. Since 1 July 2017, cluster munitions have been used in Syria by Syrian government forces with Russia’s support, and in Yemen by a Saudi Arabia-led coalition of states. In total, the Monitor recorded 289 new cluster munition casualties in 2017, a sharp decrease compared to an annual total of 971 in 2016. Most casualties were recorded in Syria and Yemen. Civilians accounted for 99% of all casualties whose status was recorded in 2017. This is consistent with statistics on cluster munition casualties for all time, and is the result due to the indiscriminate and inhumane nature of the weapon. There was also good news, as the CCM welcomed new state party Namibia. The total number of states parties and signatories of the Convention is now at 104 and 120 respectively. 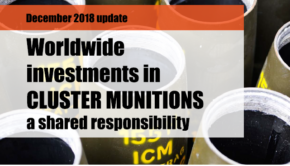 During the plenary sessions, Belgium, Chad, Gambia, Ireland, Mauritania, Montenegro, the Netherlands, New Zealand, Peru and Spain made similar statements reaffirming that investing in cluster munitions or their producers is prohibited under the CCM’s provisions. To view all statements delivered by states during the 8th Meeting of States Parties, please see here. 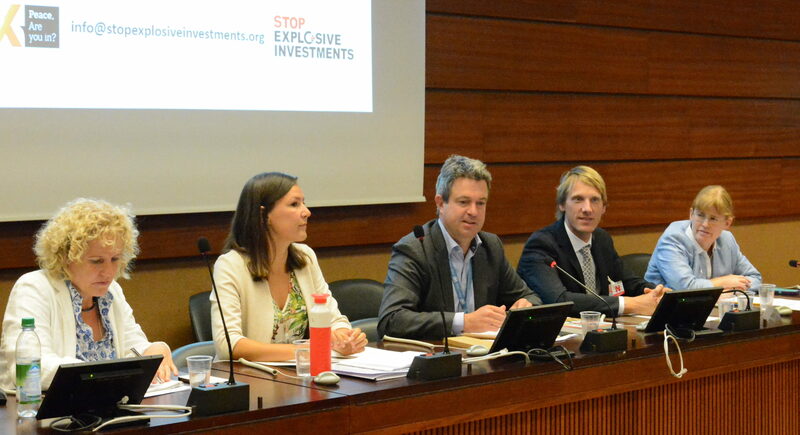 On Tuesday, the Stop Eplosive Investments Campaign, led by PAX, hosted a side-event on divestment from cluster munitions producers. The panel discussed how preventing money going to companies producing cluster munitions, is an effective tool in putting pressure on the companies involved. Financing cluster munitions producers is also in contradiction with the CCM’s prohibition on assistance with production of cluster munitions. To build on this understanding and eliminate any remaining unclarity about this meaning of the assistance prohibition, PAX called on CCM states parties to clearly state they indeed understand investing in cluster munitions producers to be prohibited. The panel from left to right and Eva Maria Fischer (Manager advocacy and development education for Humanity and Inclusion); Maaike Beenes (co-author of the Worldwide Investments in Cluster Munitions report), Richard Lennane (Geneva Disarmament Forum and moderator of the panel), Michel Uiterwaal (project leader cluster munitions at PAX) and Bonnie Docherty (associate director of armed conflict and civilian protection and lecturer on law at the Harvard International Human Rights Clinic).